It's day five of Halloween Fabulosity...and only yesterday afternoon did it occur to me that it should have been Halloween FabOOlosity. Duh. Oh well, you get the point either way. This is part two of the Morticia project (I ran part one two days ago.) I have a particular affinity for narrative design, because I'm a writer and I love telling stories. 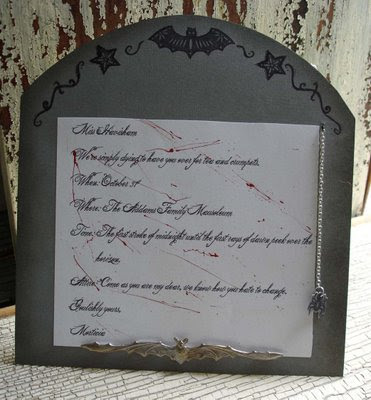 Follow this link for the instructions to make this tombstone inspired invitation. 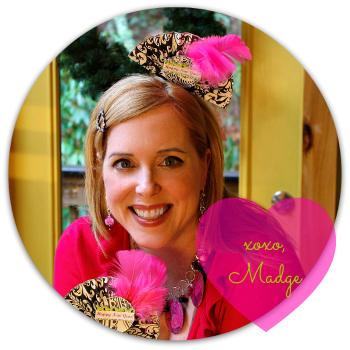 Join me tomorrow for Day Six! You will be able to click on the image in the original post to see it in close up detail.